This first post in this series is here. The second one is here. In the last post I covered local business licenses and my business card fiasco. This post will cover insurance and accounting. 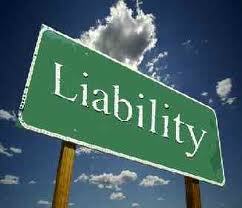 All clients that you deal with will require you to have a certain level of insurance of various types. I knew that but I didn’t know how much I’d need. I called a client that the last firm I worked for dealt with a lot and simply asked them. They emailed me their insurance requirements. After talking to an agent I realized that those requirements were fairly standard. Now, where will I find an insurance agent? I didn’t want to just search for one at random because you never know what you’re going to get. I don’t need boxes of chocolates in my life. I need security and assurance. 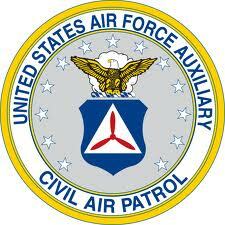 In the past I’ve mentioned my Civil Air Patrol involvement. The CAP here is packed with people from various backgrounds and in various professions. One fellow member has opened businesses in Reno before and I’ve talked to him about this on a number of occasions. When it came to insurance I decided to give him a call. Of course, he knew someone that did environmental insurance and he’s known her for 20 years. Perfect! So, I called her and we started to set it up. I found out from my potential client that I needed professional liability, general liability, and worker’s comp insurance. I ended up going with a total of $4,000,000 in general liability (the break down is way too complicated to describe here but the coverages are different for different things), $1,000,000 in professional liability (with a $2,500 deductible), and $500,000 in workers comp insurance. The worker’s comp and general policies are on an installment plan which is great. The less I have to pay now the better at this point. The professional plan required payment upfront, however. That was check that hurt to write (about $1200). 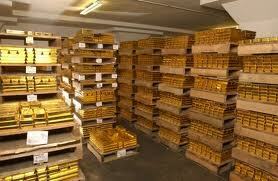 I also asked for a document that proves what levels of insurance I have. I needed this for the BLM and I’ll need it when a client asks to see proof of insurance. OK. That’s done. I’m sure that in the future I’ll need to hire someone to be a full time accountant. Another one of my friends from the Civil Air Patrol does just that. We haven’t discussed rates but he handles day to day accounts for many small businesses. Right now, though, I’m doing it myself. To help me, I downloaded QuickBooks 2013 for Mac from Amazon. It usually retails for about $249 but I got it for $139 on Amazon Prime and it was an instant download. Not bad. Quickbooks is fairly intuitive software to use but if you aren’t familiar with accounting terms, like I’m not, then it can be a challenge. Fortunately the internet exists. I’ve found several great tutorials on YouTube that go over much of what I need to do. One thing I’m doing with my accounting is keeping all of my receipts. Actually, you don’t need to keep paper copies of receipts anymore. I scan them into an Evernote Notebook that I have just for receipts. I just totaled up what I’ve spent getting this business going and I’m at about $4500. That’s a lot of money but it’s not bad for setting up a business. In fact, it could be a lot worse. Of course, there are many expenses that I haven’t been charged yet. One step at a time. My accountant friend gave me a tip for paying myself, too. I have to get some more details from him but basically he said not to pay myself initially. That way it keeps costs down and helps me out on my personal taxes at the end of the year by keeping me at a lower rate. When I need money I can basically pay myself out of the business account as though I were a Vendor. I essentially bill the LLC for my services. I have to look into the details, like I said, but it keeps me from worrying about payroll for a little while longer. I set up a primary checking account and a payroll account with my local bank. The bank can link directly to QuickBooks which should make things a lot easier. My bank uses Bill Pay too so I won’t have to write too many checks. The bank will write the check for me. Bill Pay is free and checks are not. Kind of a no brainer. I’m sure you’ve worked for a company where they eventually gave you a company credit card, right? Well, I never knew exactly how they set that up. I’m sure there are a number of ways and here is one of them. Basically, you get one credit card account, and for easy math we’ll say the credit limit is $10,000. You can have any number of cards issued for that account and you decide where the limits go. For example, I can have a card with a $4,000 limit and three other cards each with $2,000 limits. That way you still only have one bill to pay every month. It’s easy to get new cards for new employees and to destroy cards for old employees. That’s it for this time. There will be one more post that deals with your biggest priority: business development. Older Post#149 Happy Birthday, Chuck!